Sometimes called “cytoreductive treatment” or “debulking,” removal of the primary cancer has been used effectively in other cancers, using either radiation or surgery to increase cancer-specific survival time. Several months ago (see this link), we looked at the evidence for “closing the barn door after the horses are out.” The bottom line was a highly qualified maybe. 6382 men with metastatic prostate cancer, all treated with androgen deprivation therapy (ADT). 538 of them also received prostate radiation (RT) following diagnosis. Some had prostatectomy rather than radiation. There was complete information on PSA, Gleason scores and comorbidities. In addition, age, year, race, clinical stage, lymph node stage, chemotherapy treatment, treating facility and insurance status were used in multivariate analysis. Overall survival was 38 percent greater among those who had RT. Median overall survival was 55 months among those who had RT, and 37 months among those who didn’t. 5-year overall survival was 49 percent with RT, and 33 percent without it. RT was associated with greater overall survival among those who survived at least 1 year, at least 3 years, and at least 5 years. Survival was similar for RT and prostatectomy. Based on what we’ve learned about early use of docetaxel + ADT from the CHAARTED and STAMPEDE studies, the combination of chemotherapy + ADT has become the standard of care. However, during the time period examined by this study, early chemotherapy was not often used. While the authors looked at chemotherapy use, it was most probably the treatment of last resort in the most progressed cases. Therefore, whether RT or surgery is of any benefit after early use of chemotherapy is still very much an open question. This database analysis makes a compelling case for conducting a prospective randomized trial for early use of radical radiation therapy when metastases have been detected at the time of diagnosis. The radiation would include the whole pelvic area with spot treatment of distant metastases. Because the optimal sequencing of RT and chemotherapy is unknown, this would have to be a 2×2 design. That means there would be four arms: one with chemotherapy followed by radiation, one with chemotherapy only, one with radiation followed by chemotherapy, and one with radiation only. Because few patients in the US are initially diagnosed with metastases, this would have to be a multi-centered trial, or perhaps a European trial. What is unclear is who will undertake such a study and how will it be financed. While waiting for that trial (and it will probably be a long time before we have any outcomes, even if one were already begun), the patient diagnosed at the outset with metastases should initiate this conversation with a radiation oncologist. As we saw in the earlier commentary, the answer continues to be maybe, but with somewhat more justification for considering such treatment. 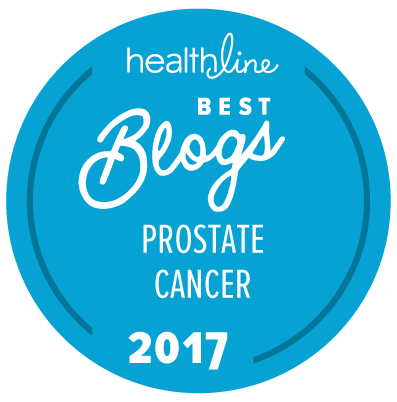 Editorial note: This commentary was written for The “New” Prostate Cancer InfoLink by Allen Edel. As I currently understand the situation, and based on the results of the STAMPEDE trial already reported, most centers in the UK already consider the combination of ADT + radiation + chemotherapy to be the standard of care for many men with N+ or M0 disease who are unsuitable for treatment with curative intent. The order of treatment that seem to be in use is ADT, then chemotherapy starting after about a month, and then radiation after the chemotherapy is complete. I assume that this order of therapy has been applied on the premise that one would maximize the likelihood of synergy of the radiation with the ADT and chemotherapy by chemohormonal cytoreduction of the cancer prior to the application of radiation to the reduced volume of cancer cells. Obviously, this is not the group of men you are referring to, but, if anyone was going to be able to implement the trial you are suggesting, it would be the STAMPEDE group. … Conversely, now that no one in England has any money after Brexit and its impact on the value of the pound, whether they have the resources to conduct such a trial is likely to be an issue.